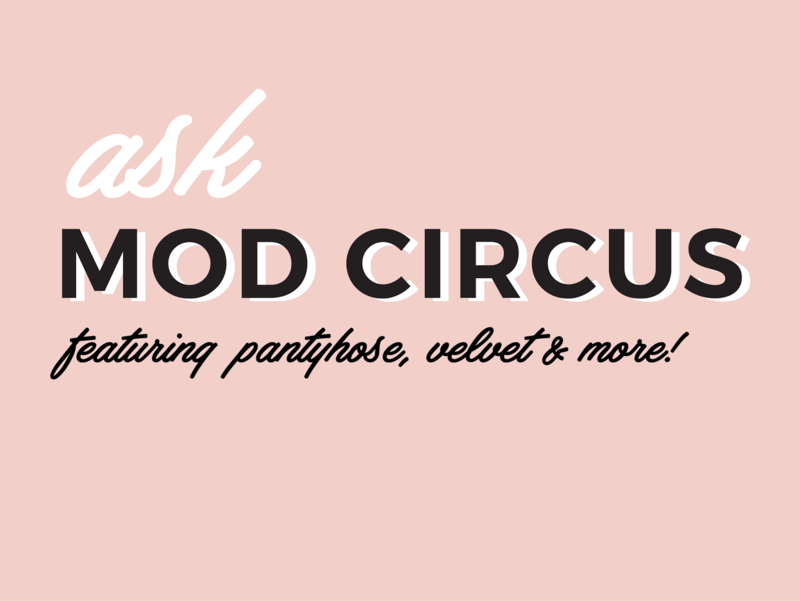 Welcome to our third edition of Ask Mod Circus! We're so excited our lovely readers are reaching out with questions and we're ready to solve any style challenges you want to throw at us. Please let us know in the comments what your style questions are, and we'll do our best to tackle them in our next Ask MC feature! Check out our other Fashion FAQs here and here. How do I keep my ankles warm in fall and winter while looking professional? Is there a good way to hide socks or wear them and look stylish? If you're trying to hide your socks, ankle booties are a great way to do that. Booties with more structured silhouettes and made from good materials will look professional enough for work, but can also be dressed down when you're off the clock. Obviously, tall boots will also cover your socks, but ankle boots that can double as dress shoes are a fun happy medium. Luckily, socks are SO IN right now. The past few years, they've been somewhat avant garde, but they've made their way into the mainstream enough to be a great addition to workwear. The key is the length and the length of the season is "anklet," which falls somewhere between short ankle socks and regular trouser sock length. Anklet socks can be found in all sorts of fun textures you'll want to show off from shimmering, to sheer to adorned with pearl beads. A little glimpse of any of these would be very stylish and also just fun. Most importantly, they will keep your ankles chill-free! Check out some of our favorite ankle booties and statement anklet socks below! I have a really large chest for someone my size (34DD) and literally just a few inches of waist before I get to my hips. How can I style for a really large chest and a very short torso so I don't look off balance? 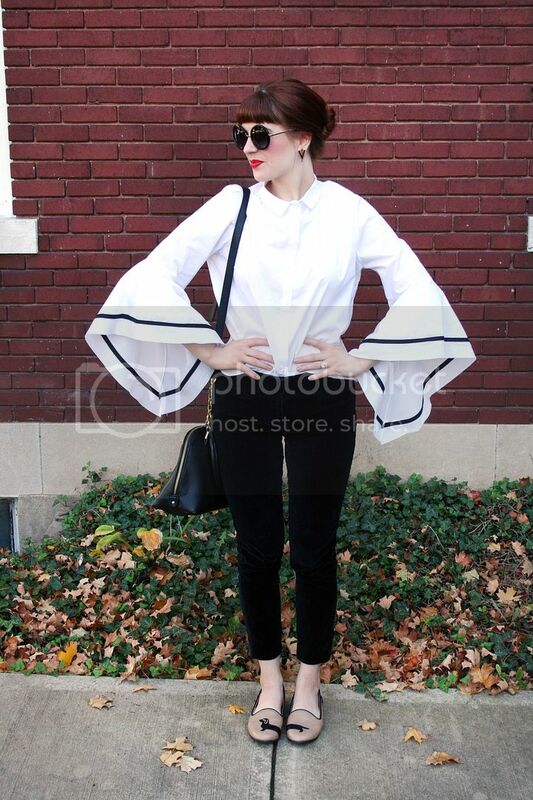 It can be difficult to dress for a fuller bust and short torso. The key is to nip yourself in at the waist and find cuts that are flattering for your figure. The cuts that work best for an hourglass figure are A-line dresses, fit and flare dresses, high waisted pants and skirts paired with sleek tops, and skinny belts that sit right at your waist. A cropped jacket that hits you right at the waist is also a great piece to add to your rotation! Below are a few pieces that are perfect for an hourglass figure. If Kate Middleton can wear pantyhose, can I? Are they back in style? Pantyhose are not just reserved for princesses! Kate's secret to having seemingly photoshop airbrushed legs can now be your secret too! The challenge here is to find something super sheer that matches your skin extremely well and has a bit of a shine to it. The key thing here is a bit of shine, we're not talking musical theatre-level shimmering tan tights. If you're beginning your foray into sheer tights, these budget-conscious tights might be a great place to start. They come in a variety of shades, so you can find the version that matches your skin best. If you're ready to dive into the world of sheer tights headfirst, you'll want to invest in a good quality pair like these. Sheer pantyhose can also kill two birds with one stone if you're looking for control top support as well, and these are a great option. These are just a few of our favs, but check out a whole roundup of options we've found below! Can you provide some basic statement pieces that everyone should own that will pretty much always be in style? You could also throw in a pair of riding boots, a pair of casual sneakers (like Chuck Taylors or slip on sneakers), a pair of ankle boots (like a Chelsea boot or something similar), a classic pair of sandals, a lightweight scarf, a classic black suit, a pencil skirt, a wrap dress, and good foundational pieces like a great fitting bra, cami, etc. Other accessories like a pair of diamond or pearl studs, a pair of sunglasses in a classic style, like cat-eye, aviators or wayfarers, and a nice watch are also great pieces to add to your wardrobe. The thing to remember with all of these pieces is that they should hold their shape when you wear them and be able to hold up their quality through repeated wears. Higher end fabrics like leather, cashmere, etc. will be able to stand the test of time. Here are a few items that would be great to add to your wardrobe! How can I jump on the velvet train without looking like Prince? If you're looking to incorporate some velvet into your wardrobe (which we highly recommend! ), we might advise against a purple velvet suit unless you're dressing up as Prince himself. However, there are a ton of great ways to incorporate velvet into your fall wardrobe, and fortunately, it just so happens to be everywhere right now! For a more traditional route, you can start with velvet trousers and skirts. Sneaking these into your work wardrobe is a great starting point before going full on velvetpalooza. In Molly's look below, she just swapped dress trousers out for a velvet version. Below, Jodi pairs a velvet midi skirt with a patterned button down for a fun mix of textures. We've also rounded up a ton more velvet pieces below that we're loving from basics to statement-makers. Ooo, love that Urban Outfitters velvet jacket!